Lynn Naude is one of the most significant figures in not just local sporting circles but also on the international stage. Having worked both abroad and most recently as the CEO of the Absa Cape Epic she’s now part of the executive management team delivering the new Global League T20 to South Africa later this year. In Episode Six of the Power of Sport podcast, host Jean Smyth sits down with her to find out about her current role, what inspires her and how she in turn advises those wishing to follow in her footsteps, plus also the story of how she started in her field. 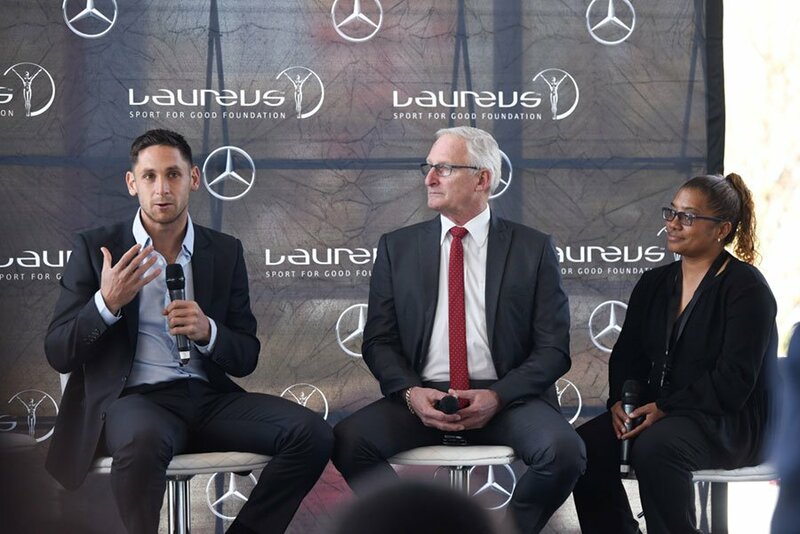 Bafana Bafana midfielder Dean Furman joined us at the latest of our sporting themed breakfast series in conjunction with partner Mercedes Benz in Centurion. Guests were treated to unique insights from Furman along with Gordon Igesund, Desiree Ellis and Amanda Dlamini. We also asked all those in attendance to reveal their alltime ‘Best XI’ football team. Download the episode to find out who he went for and we rumble Dlamini who seems to have selected herself! Also we catch-up with new Laureus Ambassador Corne Krige who linked up with Qhubeka and Waves for Change on a roadtrip from East London to Jeffrey’s Bay where some of the world’s best surfers shared their knowledge with the kids and learnt a few things themselves.